Toyota has been making the COROLLA for over 40 years for good reason...it has delivered good fuel economy, a quiet ride, and good reliability. 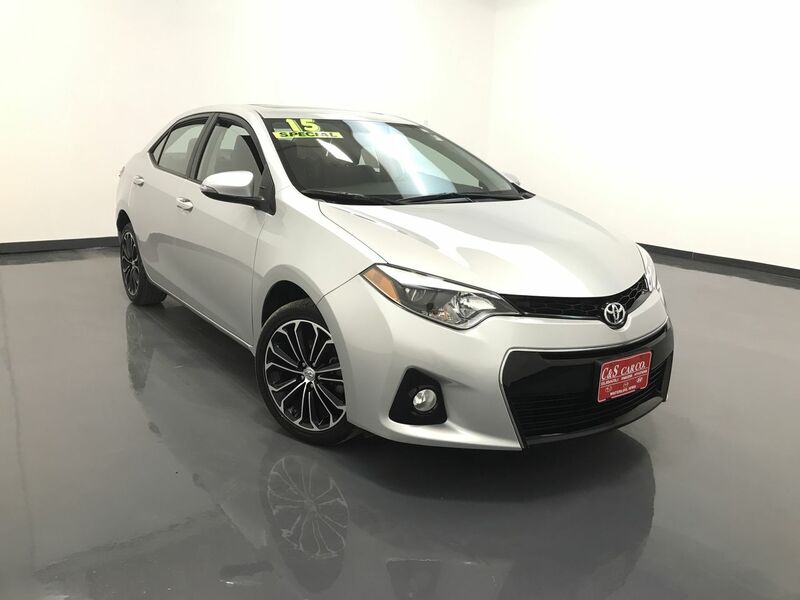 This 2015 COROLLA S has traction and stability control, a power driver's seat, keyless entry and ignition, a sunroof, steering wheel mounted paddle shifters, an AM/FM sound system with Bluetooth connectivity, and a back-up camera. The exterior features 17" alloy wheels with Firestone tires, and a rear deck lid lip spoiler. Call C & S Car toll free at 866-212-8718 or locally at 319-291-7321.